April 2014 What Exactly Are You Putting on Your Skin? Temperature changes can be harsh on our skin, and especially on our hands. For anyone with dry skin, you know exactly what we’re talking about. It starts with a dryness a bit more intense than usual, intensifying to red skin that feels rough to the touch, and it may even hurt when stretching your fingers. It feels as if your skin is not your own anymore, and you’re turning into some sort of strange reptile. The worst part is, your normal hand cream is useless against the damage. To get your hands and nails back in shape after being exposed to temperature fluctuations, harsh chemicals or soaps (like car care products), from swimming or gardening, etc. your hands will need special treatment. Follow these four easy steps, and you'll be able to have beautiful hands and nails year round. Drink plenty of water, as it promotes skin circulation, hydrating your skin from the inside. Calculate how much water your body requires and make sure you don’t miss a cup. Opt for foods that are rich in Omega-3 fatty acids (salmon, avocado, flax seeds), which also have the ability to lock moisture inside the skin. Omega-3 is also good for your general well-being, so you’re killing two birds with one stone. Also think of incorporating vitamin A, E and Zinc-rich foods in your meals. This dynamic trio is vital for fighting damage that’s caused by air pollution and UV radiation. This is important even in the winter time. The truth is, the sun is always above us, no matter how overcast the sky is. And, while we use sunscreen every day in July, we often forget about it when we can’t see the sun through the clouds. This is one of the reasons our hands are particularly dry when it gets cold, and foods like oysters, turkey, beans, crab, leafy greens, carrots, sweet potatoes, pumpkin, nuts, seeds and broccoli can help fortify our skin from the inside. Hands and nails love a good bath. But this is not your old hot water bubble bath. Your hands need shock therapy to get that skin and those nails shining again. For a homemade soak, use nourishing ingredients, such as extra virgin olive oil, eggs and a bit of lemon juice, mix and warm up, then dip your hands for at least 20 minutes for the full effect. If your hands are really dry, you can even put on a pair of cotton gloves or cotton socks, and go to bed with them on. Finish by washing your hands in warm water, with the mildest of soaps. The antioxidants and fatty acids in the olive oil, in combination with the vitamin cocktail in the eggs and the ascorbic acid in the lemons, will make your skin and nails look and feel better. You don’t need expensive scrubs to make your hands softer and your nails stronger. In fact, some of the most expensive ones can be recreated at home, with inexpensive ingredients. Scrubs will remove dry skin, and help to keep your hands youthful looking. One of the best hand and nail treatments is the sugar scrub. Aside from being very efficient, it’s easy to make and perfect for beginners. To get it done, mix two parts sugar, with one part oil (coconut oil works best, but olive and almond are great too) and half a teaspoon vitamin E oil. Mix well, scrub gently, wash your hands and apply moisturizer. This scrub is wonderfully versatile, so get creative and substitute your favorite skin care ingredients into the recipe. Use natural plant oils and ingredients from your kitchen cupboard such as ground oatmeal, ground flax or chia seeds, ground coffee, etc. as your inspiration. One of the main problems with hand care during temperature fluctuations or exposure to chemicals is our normal hand cream loses its edge against these conditions. Applying and reapplying won’t do much good in this situation. Changing your hand moisturizer to a new one is a good idea. Try to find products that focus on care for dry skin, and treatments that are more than moisturizers. 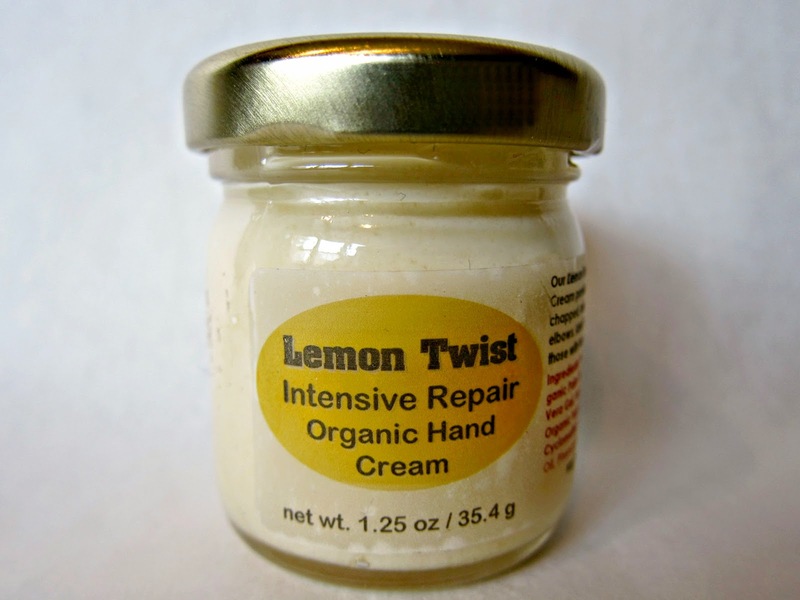 What we always do when we have a dry hands and nails situation is switch to our essensu Lemon Twist Organic Intensive Repair Hand Cream, which is formulated to fix skin problems fast. In the end, our hands take weather, environmental, and chemical damage harder than the rest of our bodies, and we do need to give our hands extra tender loving care to keep them from becoming overly dry and looking unattractive. GUEST AUTHOR: Gwen Lewis is a freelance writer who lives in Southern California. She currently works with Fair & Flawless as well as other beauty and health sites. Although she lives in California, she knows what the cold can do to your skin as her parents live on the East Coast and she visits often.